It is with our deepest sorrow that we inform you of the passing of Carey Gunn Venditti, the presiding District Council Chair and the first woman to serve in this role in our organization’s history. We are grateful to have known Carey and for the lasting legacy that she leaves behind – one of friendship, dedication, volunteerism and leadership. She truly represented the very best of ULI Austin, and we will miss her greatly. We will be keeping this website updated with information as it becomes available. Carey was integral to ULI Austin’s growth and momentum with her unwavering energy and forward-looking vision. Carey first joined the ULI Austin board when she started our Women’s Leadership Initiative, which has since grown significantly. She was very passionate about increasing the number and visibility of female leaders in real estate. During her tenure as Chair of Mission Advancement, ULI Austin added the Strategic Councils to help ULI Austin impact local issues. As Chair, she envisioned engaging more non-traditional real estate organizations such as technology companies to advance ULI Austin’s mission. The Management Committee is committed to continue working towards this goal. Carey served as head of DLA Piper’s Austin Real Estate Practice and had been practicing for over 25 years in real estate finance, development and investments, acquisition, disposition and leasing transactions. 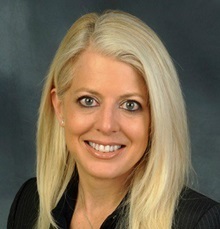 She represented national and international investors and national, regional and local developers and owners in commercial, multifamily, office, retail, mixed-use, planned community and condominium projects. Carey was a great community leader beyond ULI. She served as a mentor and Advisory Council Member of The University of Texas at Austin McCombs School of Business Real Estate Investment and Finance Center (REFIC). She also was an active supporter of the arts including serving as a long-standing Board Member for the Austin Symphony Orchestra.